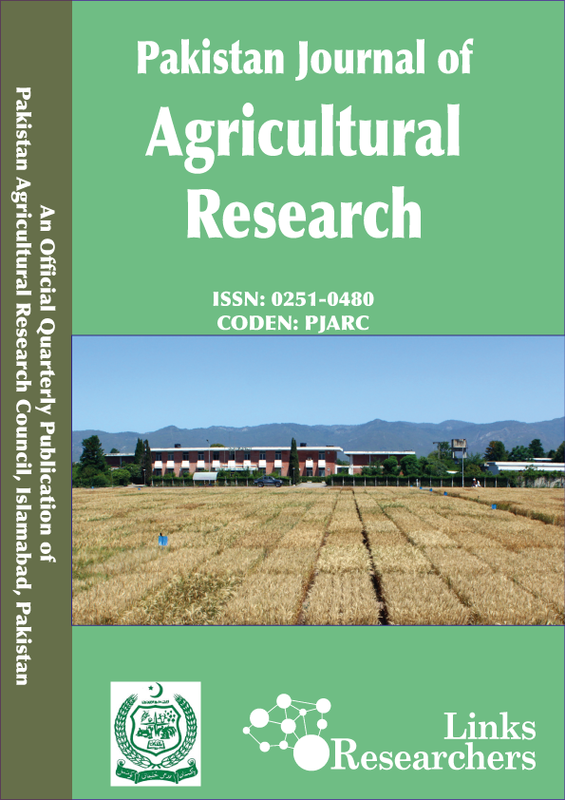 Oilseeds Programme, Crop Sciences Institute, National Agricultural Research Centre, Park Road, Islamabad, Pakistan. 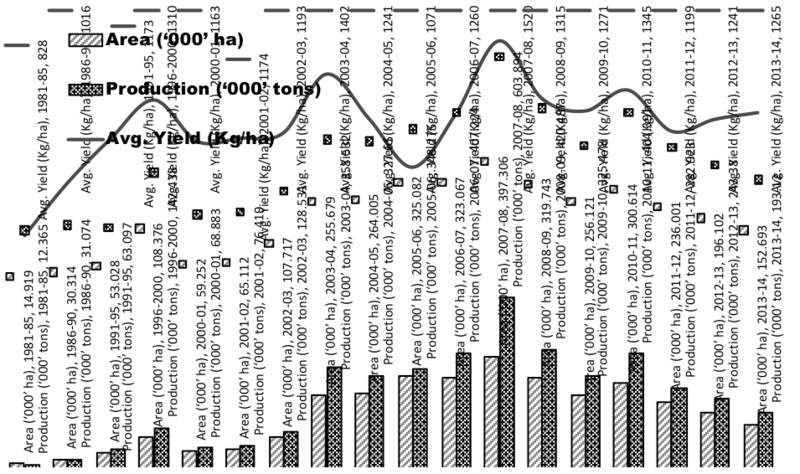 Area, production and seed yield of sunflower in Pakistan since 1981. First four bars are representing five years data and remaining are annual data. 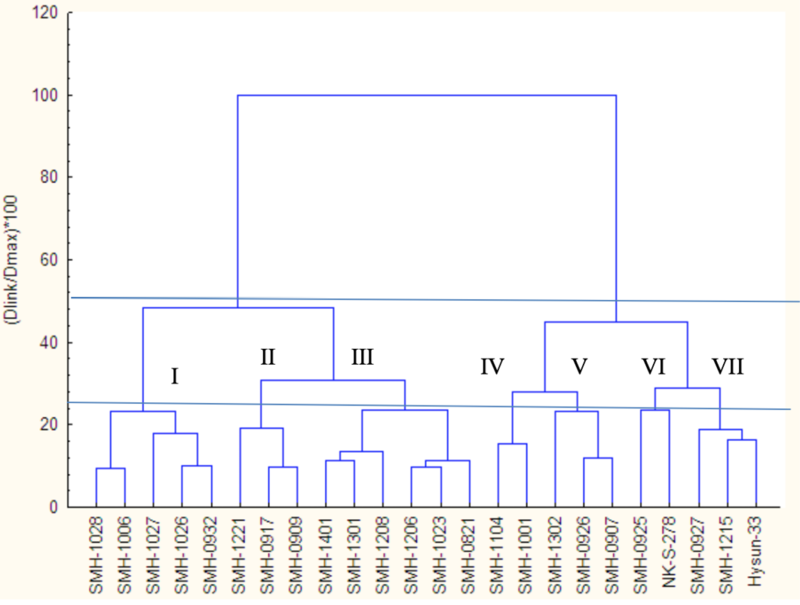 Cluster analysis of eight agronomic traits in twenty four locally developed sunflower hybrids.